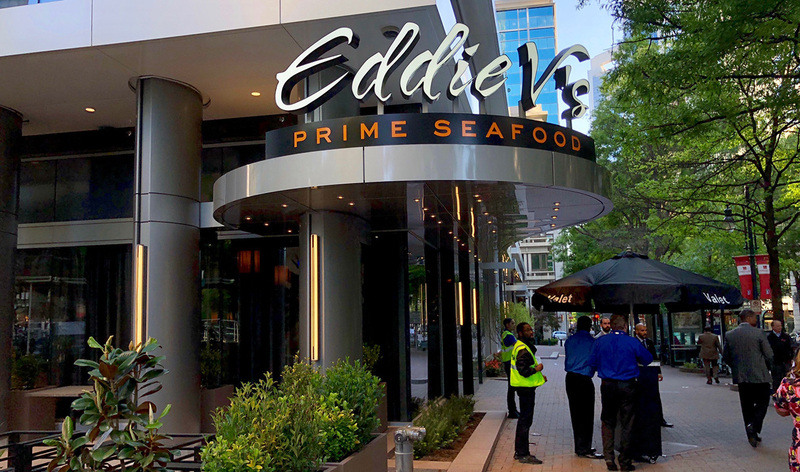 Eddie V’s, an upscale seafood and steakhouse chain, opens this Friday in the heart of Uptown. 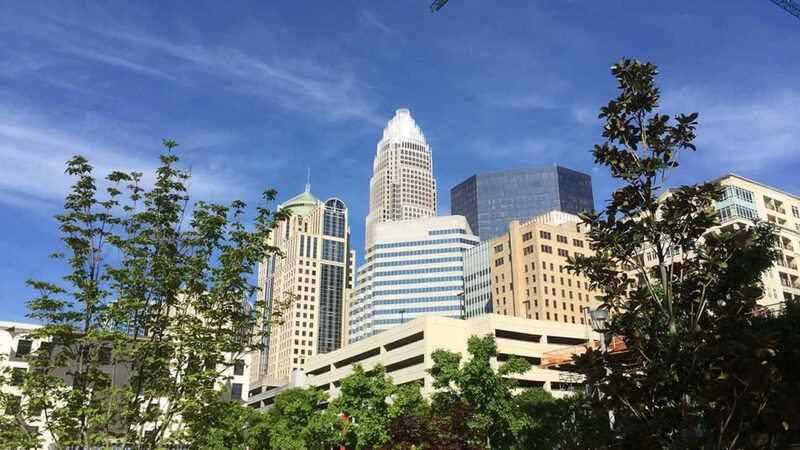 The exact address is 101 S Tryon St (near Essex). Hours are 4-10 p.m. Monday to Thursday, 4-11 p.m. Friday and Saturday and 4 p.m. to 9 p.m. on Sunday. Here are 9 quick things you need to know. It’s clear that they sank millions into the renovations at this two-story restaurant. Main dining area at Eddie V’s. 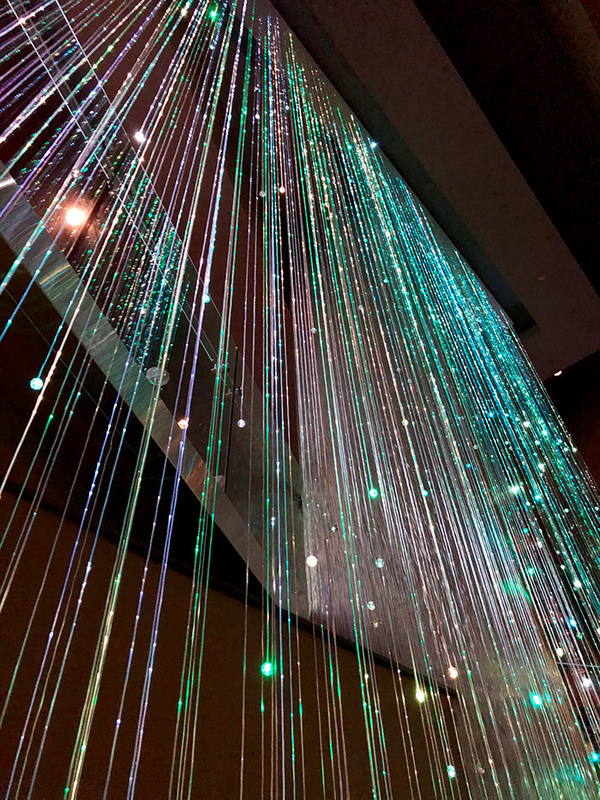 They also have several private dining rooms for the corporate event crowd. (2) Eddie V’s does live jazz every night. The three-piece jazz band is located to the right of the large U-shaped bar. 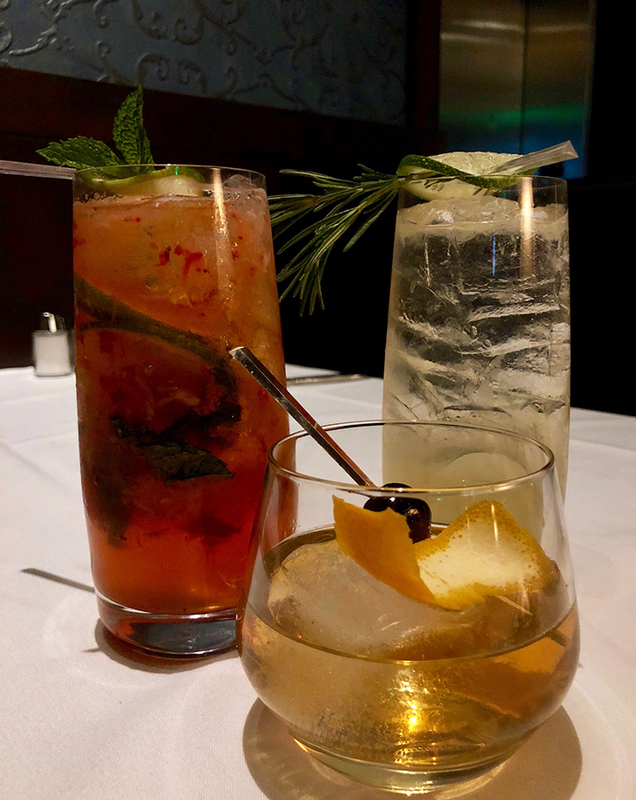 (3) Their most popular cocktail is the smoked Old Fashioned, served tableside on a smoked plank. The glass is smoking and the waiter adds the garnishes and then pours the drink at the table. It’s a pretty cool presentation, but not quite as cool as the dramatic smoked Old Fashioned presentation at Zeppelin or Dot Dot Dot. Eddie V’s is also know for their wine and has a wine list of 300+. 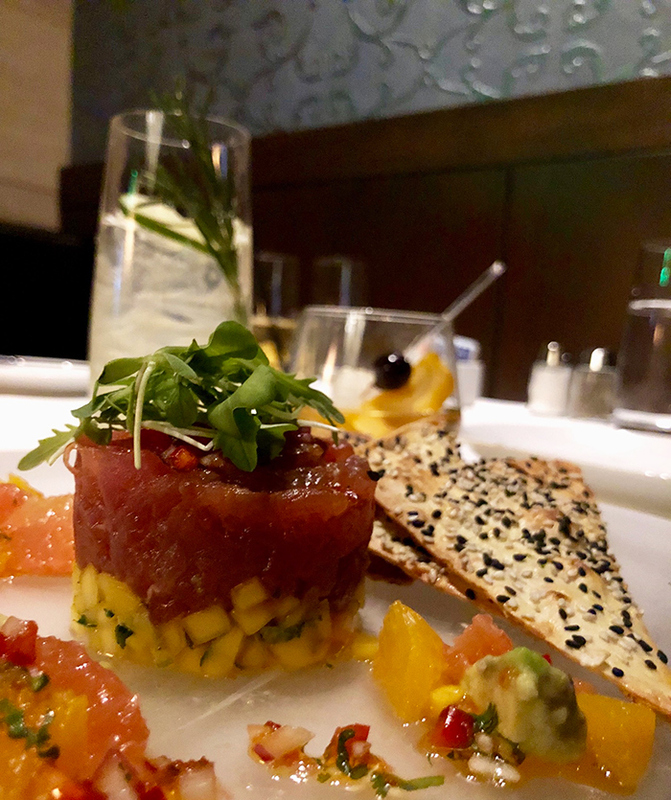 (4) If you want to go big, you can order “The Big Eddie” ($120) – Alaska king crab legs, Maine lobsters, 8 ahi tuna poke shrimp and 8 oysters. 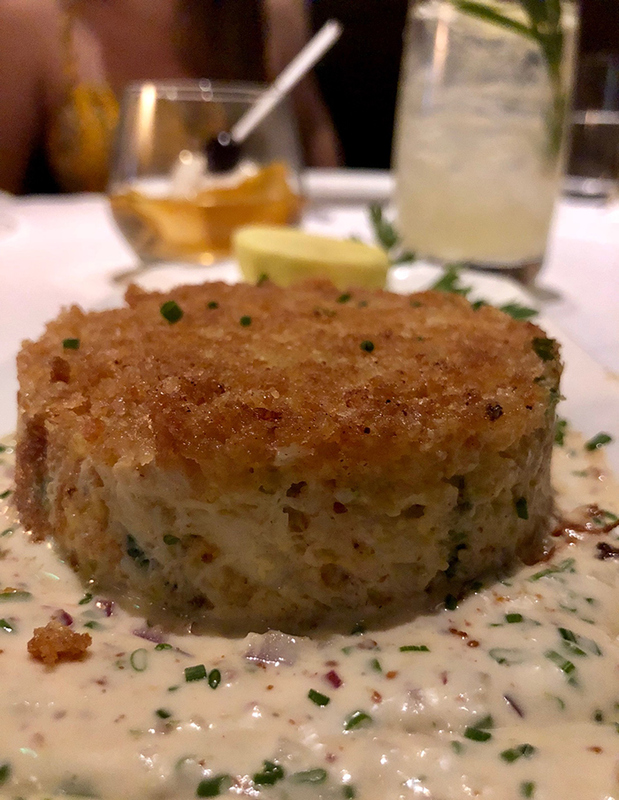 If you’re looking for something smaller, the jumbo lump crab cake ($19) is popular. Here’s a look at the crab cake. It’s solid, but if you’re crab cake obsessed, check out Clean Catch’s DIY crab cake. 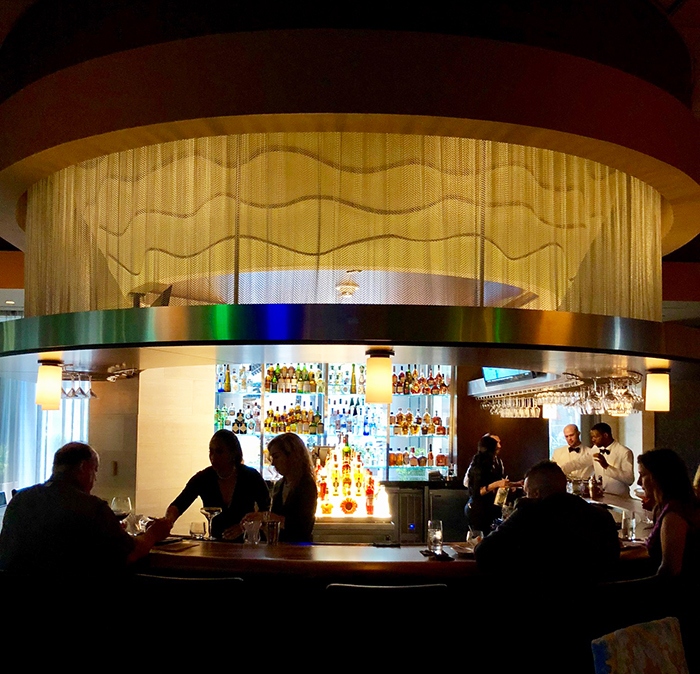 Eddie V’s also offers oysters ($3 or $4/each or a dozen for $18/$24) and caviar ($75-165). 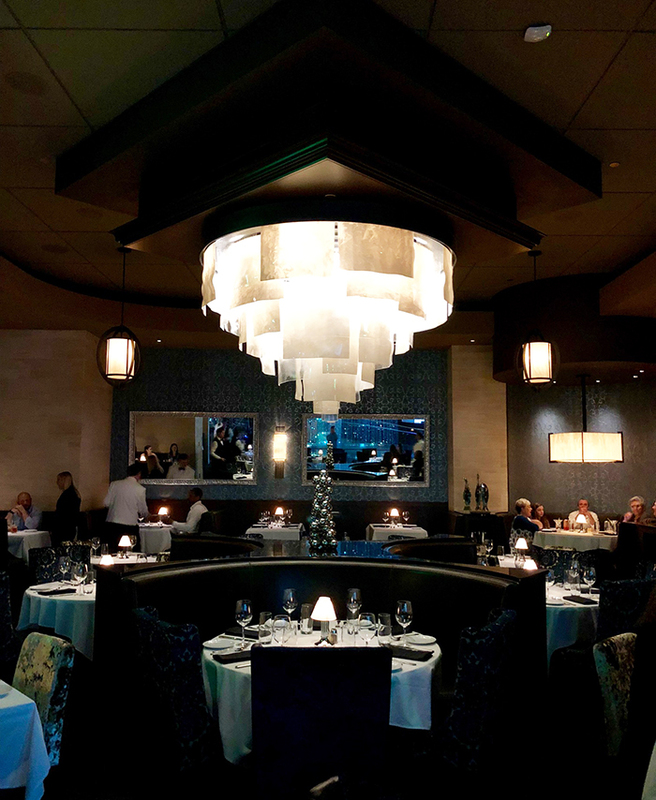 (5) Darden Restaurants — a publicly traded company that also owns The Capital Grille, LongHorn Steakhouse and Olive Garden — also owns the Eddie V’s brand and its 19 restaurants. 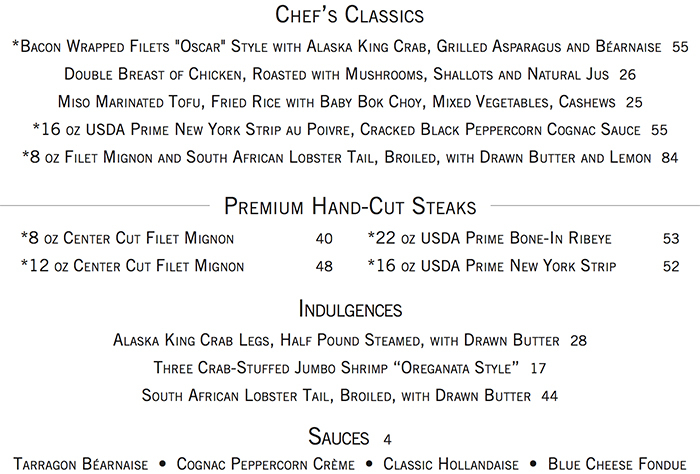 (6) Popular steaks include the 22 oz USDA prime bone-in ribeye ($53) or the bacon-wrapped filets “Oscar” style with Alaskan king crab, grilled asparagus and Béarnaise sauce ($55). 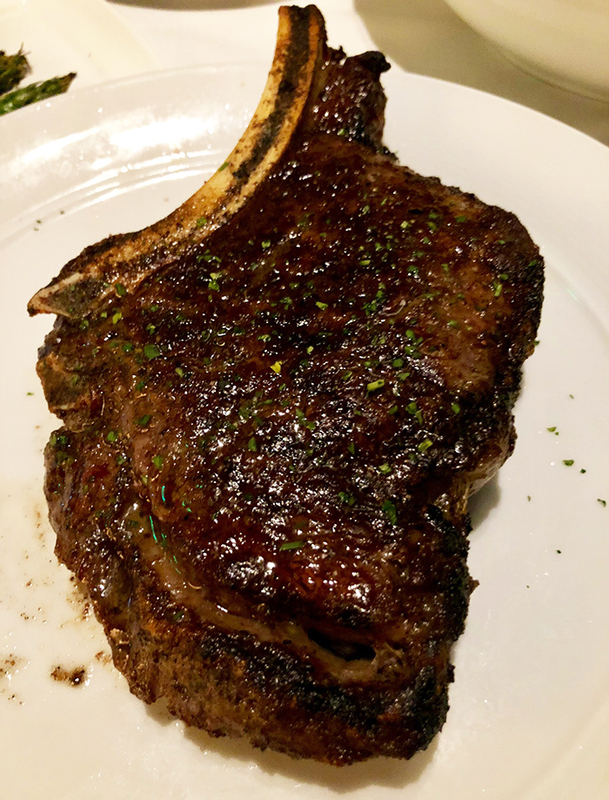 We had the bone-in ribeye. 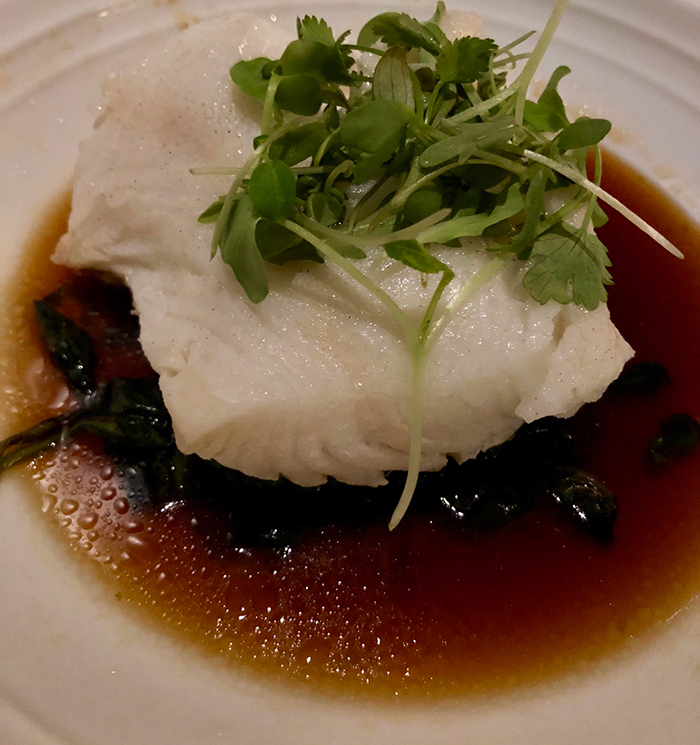 (7) Popular seafood dishes include the parmesan sole ($32) or the Chilean sea bass ($46). We ate the sea bass. 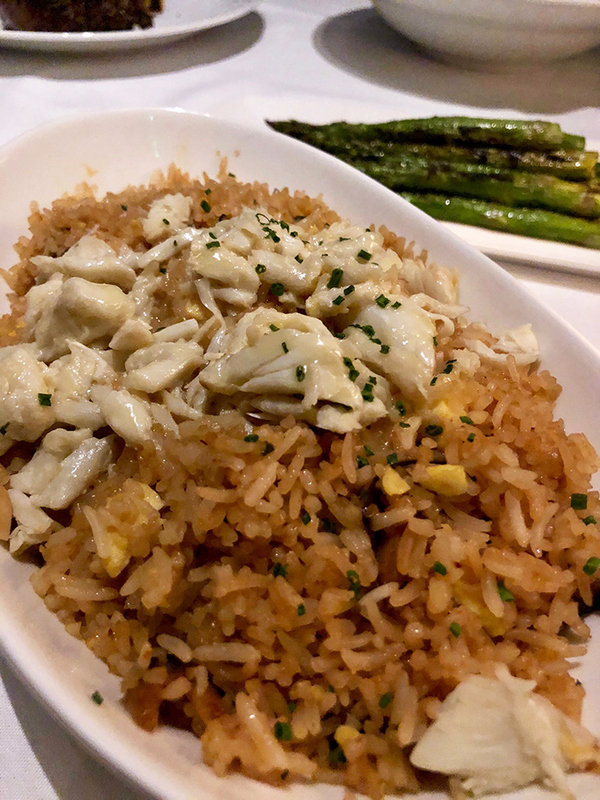 (8) The #1 most popular side dish is the crab fried rice with mushrooms and scallions ($14). 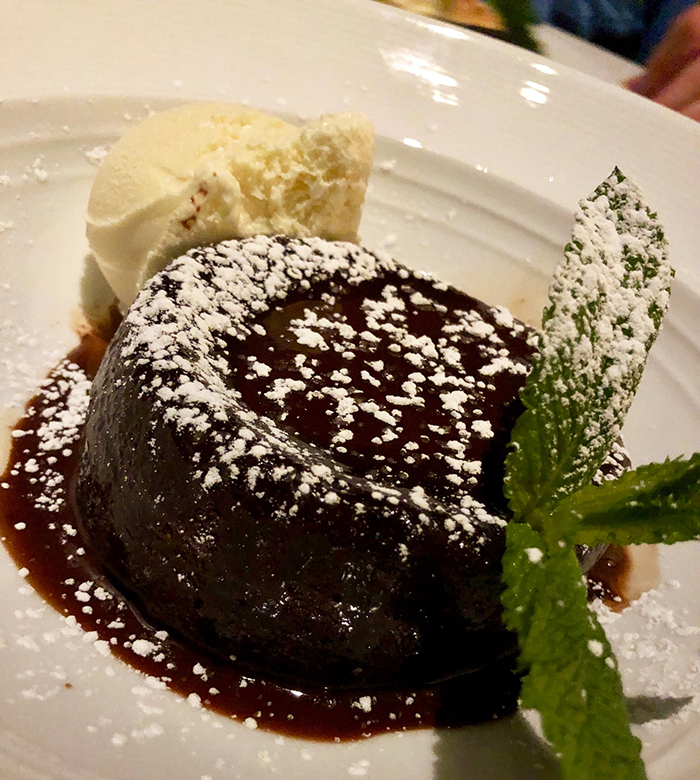 (9) For dessert, go with their hot chocolate Godiva cake or the “Bananas foster” butter cake flambéed tableside.